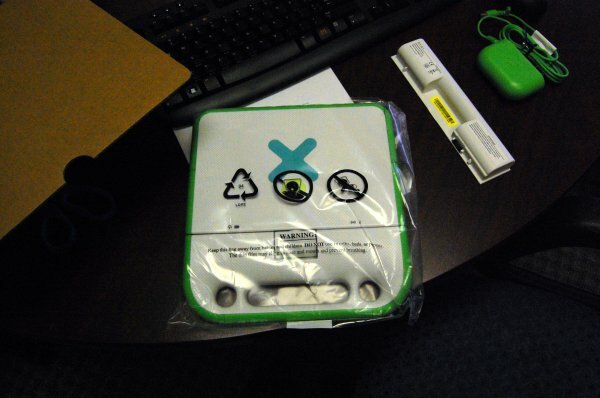 One Laptop per Child (OLPC) is a project started by Nicholas Negroponte at the Massachusetts Institute of Technology (MIT) with a core of MIT Media Lab personnel. 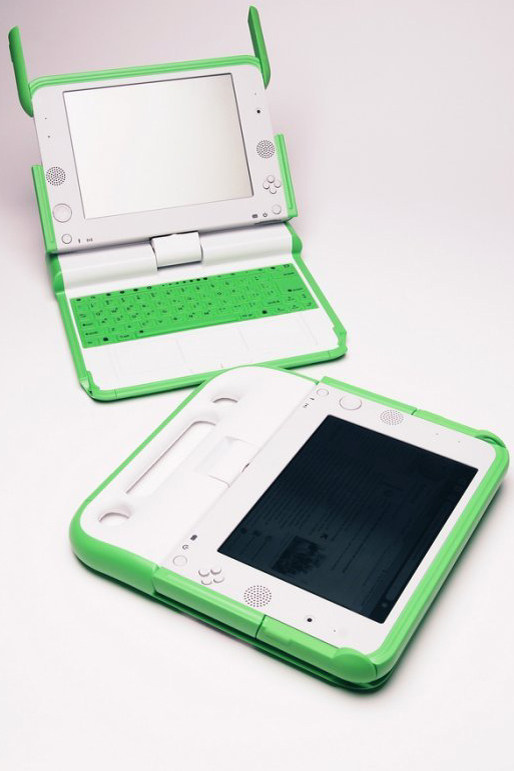 The organization has grown to include passionate people creating software and hardware and sustainable community involvement to fulfill the educational mission of OLPC. The mission for OLPC is simple yet compelling: To create educational opportunities for the world's poorest children by providing each child with a rugged, low-cost, energy efficient laptop with content and software designed for collaborative, joyful, and self-empowered learning. You can learn more about OLPC at http://laptop.org and http://wiki.laptop.org -- everyone is welcome to participate. A computer contains information and responds to instructions. Computers are used as tools to access and exchange information. They can be like a classroom or like a toy, and they offer a way to communicate with others. Because computers take instructions and may be programmed, a computer can be whatever you want it to be. Many people use computers to write, to perform mathematics, to create art, to play games, to record sound and images, to communicate with others, to read, and to learn. The uses of your XO are limited only by the Activities you use and your imagination. What can your XO do? Your XO can store an entire library of written stories, videos, and pictures. It can make and play music. It contains Activities that you can use to learn math, play games, create pictures, and communicate with others. You interact with your XO using the touchpad, keyboard, microphone, or camera. Computers are built of component parts that work together to carry out tasks that you give to the computer by interacting with it. See wiki.laptop.org/go/Disassembly for pictures of the parts of the XO. You can use your XO to figure out how computers work by reading about computers and learning their basic functions, and then learning about hardware and software and how it all works. 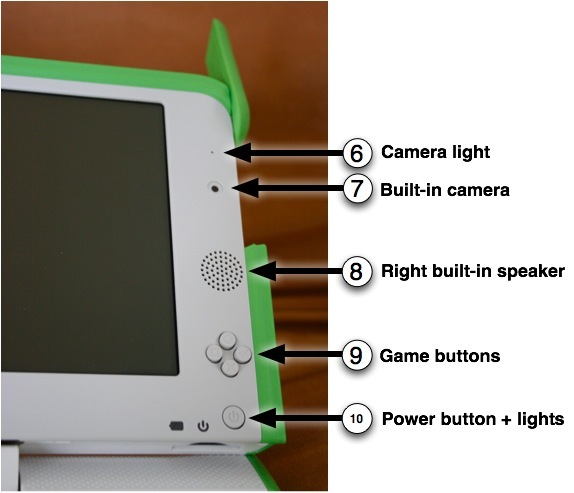 Volunteer contribution is central to the educational spirit of OLPC, and there are many different ways to volunteer for the project. Consult the sections below to learn how to become a volunteer, based on your interests and background. If learning matters to you, you will be welcome. To get involved directly, visit the web site http://wiki.laptop.org/go/Participate or email volunteer@laptop.org. The XO is meant for the entire family to use, so one of the best ways to get involved is to learn as much as you can--that way you can help others to learn in turn. You can contribute to the wiki, a web site that anyone can edit, at http://wiki.laptop.org. Wiki contributors can share their knowledge and experience with the XO. 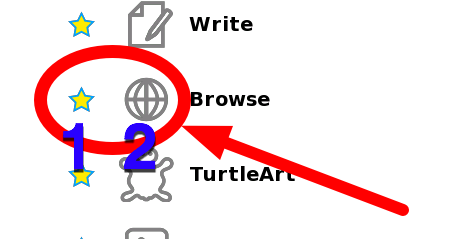 To learn how to get started editing the wiki, go to http://wiki.laptop.org/go/Wiki_getting_started. You can tell others about your projects and recruit others to join your efforts, and you might want to get involved in a regional group with other XO owners in your area. You can find many such vibrant communities at http://wiki.laptop.org/go/Regional_community_groups. The OLPC project is an education project above all else, so the contributions of teachers, students, and educators are highly valued. You can contribute by testing, developing content, mentoring, or running group activities. 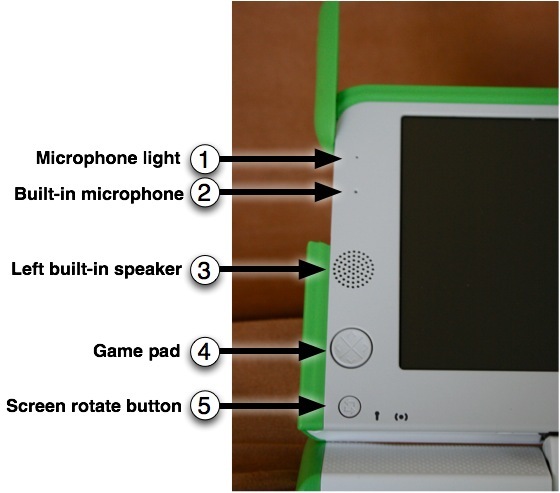 You can start a University chapter of OLPC users--both formal informal clubs exist. Details may be found at wiki.laptop.org/go/University_program. You can try to meet with other teachers and students within your region, or look up pre-existing groups within the list of regional groups here: wiki.laptop.org/go/Regional_community_groups. If you enjoy personally helping others, and the challenge of solving problems with learners worldwide, you would be a perfect fit for the Support Gang. The Support Gang works together answering all kinds of questions about the XO, peripherals, software, volunteering, deployment, organizational development, and any other questions OLPC donors and XO users ask. The Support Gang is an extremely friendly and supportive group, who come together from all around the world, and work together closely online. They also meet weekly with invited guest speakers by phone, and in person whenever possible. You can join the Support Gang at http://wiki.laptop.org/go/Support_Gang. Fellow volunteers and OLPC will help you get started and assist you in finding answers to difficult or unusual questions. Bilingual volunteers are especially welcome. If you would like to help others learn about the XO then you can help with the documentation. We have a dedicated team and we eagerly welcome new contributors! You don't need to be a expert on the technology to participate - you may wish to just spell check or check images. You may also be inspired to write a chapter or improve existing chapters. 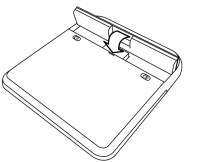 You can learn more on how to contribute by joining the OLPC Library mailing list http://lists.laptop.org/listinfo/library and the FLOSS Manuals mailing list http://lists.flossmanuals.net/listinfo.cgi/discuss-flossmanuals.net. You may also want to look at the documentation tools at FLOSS Manuals : http://www.flossmanuals.net. OLPC is a world-wide program that tries to reach people in many countries, who speak many different languages. If you speak and write more than one language, you can help translate the wiki or the software. If you can help, please see http://wiki.laptop.org/go/Translation. Everyone is a creator: by creating and sharing something, you come to understand it better. Writing about the XO can also be one of the greatest contributions to helping others. Please consider offering your communications or media talents on the OLPC Wiki--whether by writing, designing, editing, storytelling, or simply organizing--anywhere within http://wiki.laptop.org. If you want to create art for the XO, you can join other artists at the Art Community page at http://wiki.laptop.org/go/Community:Art. 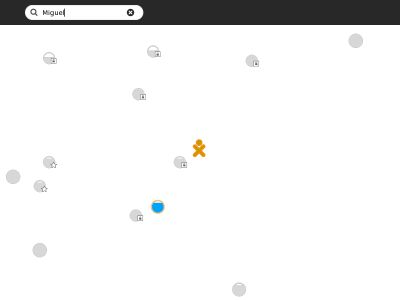 You can upload photos to a worldwide archive at http://www.flickr.com/groups/olpc. 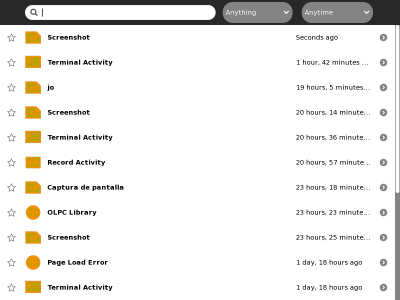 One group of photos even shows those specially taken by XO laptops themselves, using the Record Activity. There are many ways to volunteer to assist with the hardware, from brainstorming about alternative power to developing peripherals to repairing XOs. You may want to develop peripherals for the XO that use its USB ports or other inputs, for health applications or beyond. One such way to get involved is found here: http://wiki.laptop.org/go/Health. You can get involved with community repair centers or start your own, either as volunteers or as a business: http://wiki.laptop.org/go/Repair_center_locations. You may want to work on power generation and firmware coding. To find out more about these types of hardware projects search for those keywords at http://wiki.laptop.org. Help maintain our upstream projects such as kernel.org, X.org, gnome.org and others. Fix, report, or triage bugs http://dev.laptop.org. Help improve Sugar and our OS http://wiki.laptop.org/go/Developers. In short: "patches are welcome". Help create changes in the community you live in - as well as ones you'd like to visit. Start or join a grassroots group: http://wiki.laptop.org/go/Regional_community_groups. 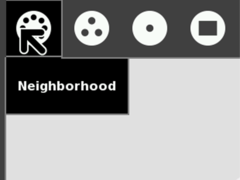 Create a Community Repair Center: http://wiki.laptop.org/go/Repair_center_locations. Run, host, or attend an Event or Jam: http://wiki.laptop.org/go/XO_roadshows. Help out at a nearby Pilot deployment: http://wiki.laptop.org/go/Category:Pilot_site. Welcome to XO-land! You are about to start on a wonderful adventure of exploration and learning. 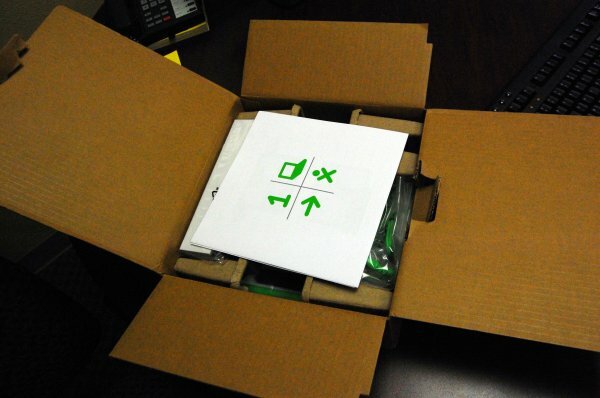 The cute little green and white machine in the box is the tool that will enable you to travel the world via the Internet, compose and play music, create works of art, do science experiments, take photos and videos, communicate with friends and family via e-mail, and even learn to do a little computer programming. But the XO represents a lot more than that. It is a symbol of your commitment to the education of the children of the world. 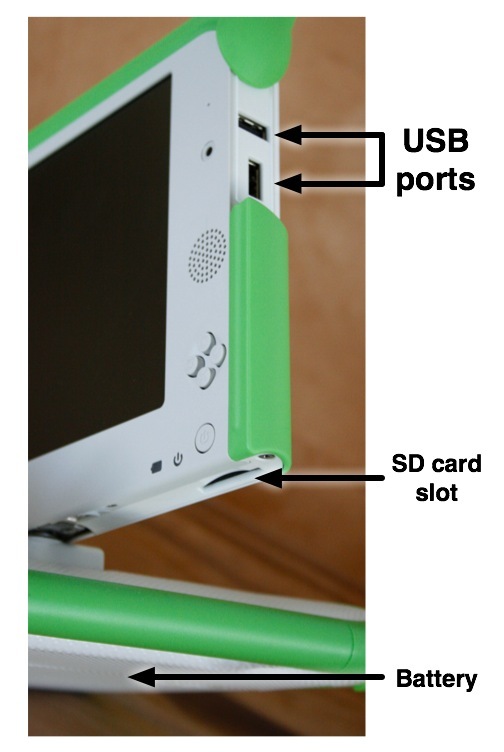 OLPC is not a computer project, it is an education project. We hope you will proudly enjoy using your XO as children around the world do. Before you get started, please read through this guide so you will have an idea of what to expect. The first thing you need to do is carefully unpack your XO. Save everything! If you don't, you may accidentally throw away something important. Be sure to save the box, packing materials, and any paperwork that is in the box. Before you use your XO for the first time, you should fully charge the battery. 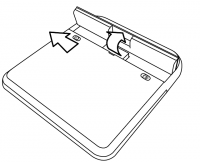 The Battery section later in this chapter shows you how to install the battery and connect the charger. While you wait for it to charge, read through the rest of this guide and see what you can do! Position the laptop with the handle away from you, and then rotate both of the antennae towards you. Lift the front edge of the top of laptop, and then move the top upward away from you. You can hear and feel a slight click as you first lift the top. You can switch the XO so that the screen lies flat and covers the keyboard. 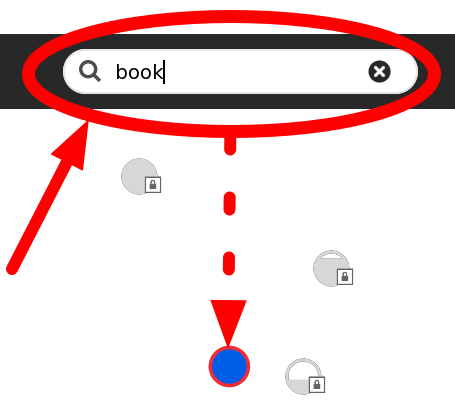 This lets you handle the gamepad buttons more easily or read electronic books (ebooks), using the arrow buttons to page forward and backward. Bring the display up to a 90-degree angle and rotate the antennae down. Fold the display down onto the keyboard. Press the rotate key to orient the display. Just make sure that you aren't having any problem rotating the display, just because if you do it incorrectly(like any sound occurs), congratulations, you have broken your first XO! The XO laptop has many built-in features. These include a camera, microphone, speakers and wireless antennae. In addition, the laptop allows for the attachment of other external devices. This is often done by plugging the devices into connectors (some are more commonly referred to as ports, jacks or slots). The display functions in a full-color mode similar to other laptop displays and in an ultra-low-power, ultra-high-resolution, black-and-white mode that is readable in direct sunlight. There is both a built-in microphone (and an external microphone jack, which supports both AC and DC sources.) As a privacy measure, an LED above the microphone (1) lights up whenever the microphone is in use. Internal stereo speakers and an amplifier provide a way to play music, videos, and anything you have recorded yourself. There’s also a jack for external headphones or speakers. Two sets of four-direction cursor-control keys can be game controllers. Since they still function when the screen is folded down into e-book mode, the XO creates a self-contained game playing pad including a controller. 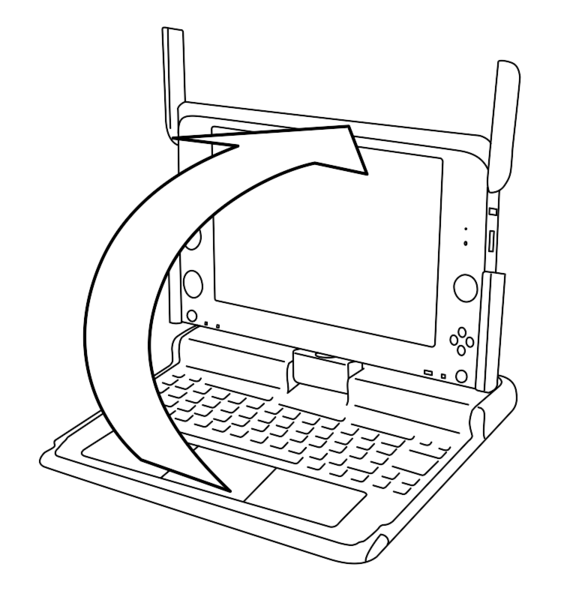 A button on the XO laptop’s display frame changes the orientation of the screen, so it can be viewed right-side-up from any direction. The XO laptop has a built-in color camera, enabling still photography and video recording. As a privacy measure, an LED above the camera (6) lights up whenever the camera is on. The game buttons can be used when the screen is folded down into e-book mode, creating a self-contained game player. The buttons are labeled with a circle, a square, a check, and an ×. 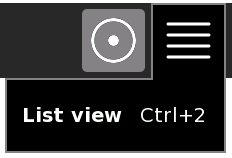 These buttons are often used by Activities. 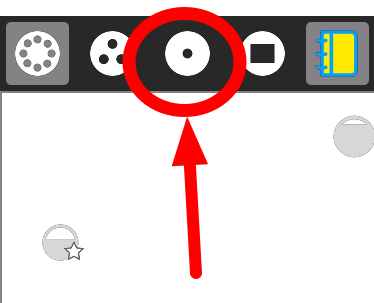 For example, the circle button can be used as the shutter for the camera in the Record Activity. From left to right: the battery-level indicator; the power indicator; and the power button. Along with offering unique connectivity options, the XO laptop can work with a wide range of external devices. When the wireless antennae "ears" are rotated up, they provide the XO with a connection range vastly superior to those of conventional laptops. When down, they keep dirt out of the connectors and act as a latch. 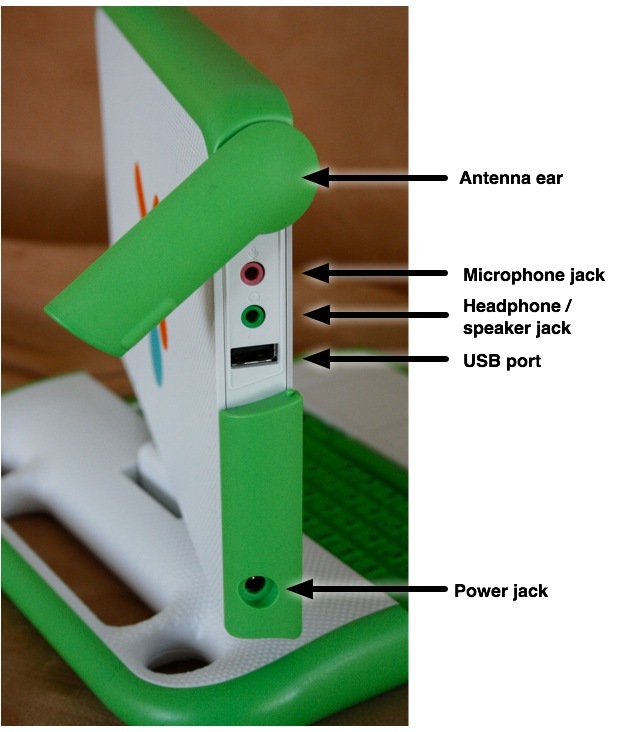 Along with built-in speakers and microphone, the XO laptop features jacks for external headphones and an external microphone. The XO laptop features three external USB ports to support a variety of plug-in peripherals (one seen in the photo above, and two others under the other "ear"). The XO comes with a power cord that can be plugged into any 110-to-240-volt AC outlet for charging. The power jack also accepts DC power from a solar panel for charging the XO laptop’s battery. There is a slot underneath the display that accepts SD memory cards for photos, video, and other content. Rotate the display so that the left-hand edge is over the keyboard—the slot is then accessible from below. Since many children in the developing world live "off the grid" (in places with poor or non-existent power infrastructure), the XO laptop is designed to be extremely power efficient. The XO needs its battery attached, or the laptop needs to be plugged into a wall directly. It will run from either source of power. When you get your battery it should come with some amount of charge. Use the following instructions to install your battery and charge your laptop. This is the XO battery. 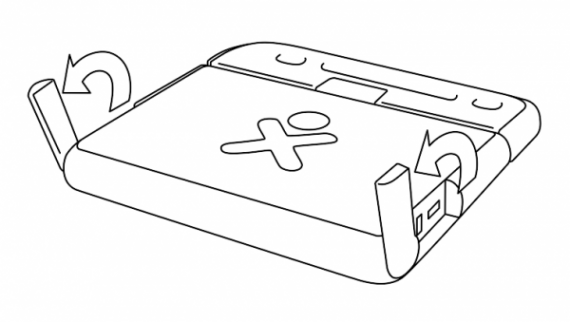 The battery attaches to the back of your XO. Line up the four tabs on the new battery with the long edge furthest from the catches. Slide the battery into place. Slide the left-hand side catch to the left, and press the battery gently into place. Slide the right-hand side catch to the left, to lock the battery in place. Be sure that the battery is attached to the XO. Plug the power cord into your XO. Plug the other end of the power cord into the nearest power source. The battery icon in the Frame fills with color, showing you how much power (or charge) is left in the battery. Move the pointer over the battery icon to see how full the battery is. While the battery charges, the battery light near the power button (shaped like a battery) should display yellow, turning to green when the battery is fully charged. A red light tells you that the battery is running very low, and you should charge it soon. 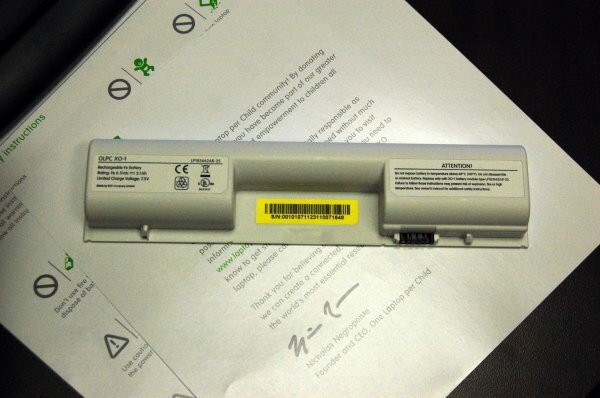 If your battery charge gets extremely low during shipping, your XO may not start up. Plugging in external power may not charge the battery. If this happens, remove the battery and power up the laptop on external power. Once the laptop is powered on, insert the battery. It will now charge, and the charging light should be on. If you're the tinkering type, more advanced battery troubleshooting tips can be found at: http://wiki.laptop.org/go/XO_Troubleshooting_Battery. To start the XO, press the Power button, near the lower right corner of the screen. The XO takes about two minutes to start up. If the battery needs charging, the light next to the power button glows red. Plug the AC adaptor into the left side of the XO and plug the power cord into an outlet if you see a red light or if the XO does not start up. If you have difficulty starting your XO, refer to the Repairing chapter for ideas. After you press the power button and the XO initially starts up, the XO screen asks for your first name. 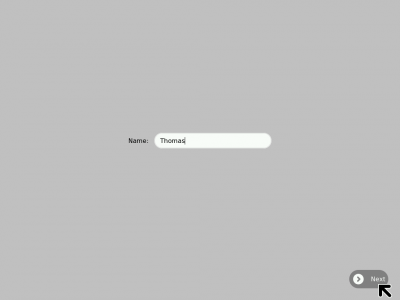 The next time you start it, it remembers your name and goes directly to the Home View. Later on you can learn how to change to a nickname of your choosing. 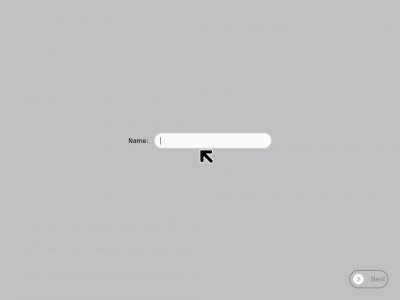 After you enter your name, click Next. Next, you will a small O on top of an X. This symbol represents you when you use your XO. 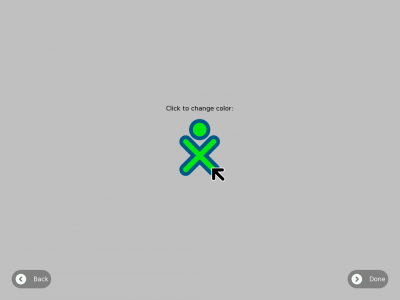 Use your finger on the touchpad to move the arrow over the person symbol. 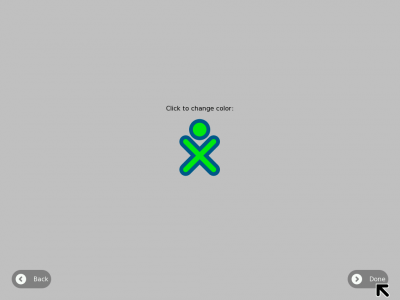 "Click" this symbol by pressing the key with an "X" on the left below the touchpad to choose colors that you like. After you choose your colors, click "Done." 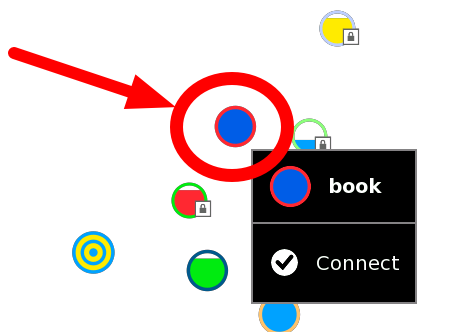 When you have finished using the computer, go to the Home View by pressing the key with a single dot in a black circle, in the top row on the left. 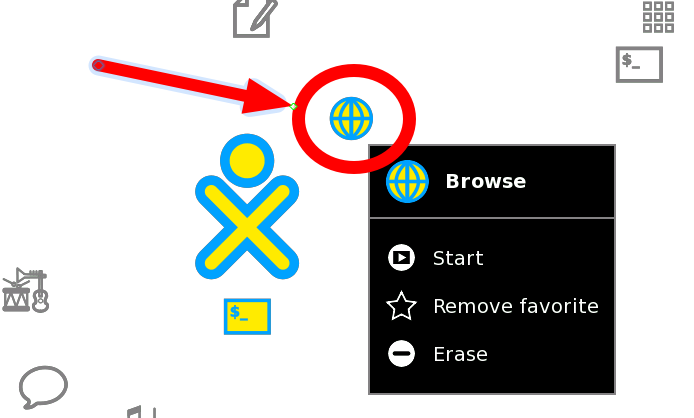 Click the middle XO icon to view a menu. On the menu, click Shutdown to ensure that your laptop stops properly. You should always follow this Shutdown procedure, because it allows your XO to tidy up its internal files before it turns itself off. This helps the XO know where to find things when you start up again. However, if something bad happens and you can't move the pointer or you can't click, you can make an emergency shutdown by pressing and holding the power button for a few seconds. Be careful that your power button does not get stuck in the down position. If it does get stuck, the XO does not detect the depression of the power button, and does not turn on. If this happens, refer to the Repairing chapter for information on how to repair it. The Journal Activity offers file storage and retrieval through the Sugar user interface. To view the Journal, click the Journal icon in the Frame, shown next to the View icons below. Your XO can store a limited number of files on its 1 GB flash disk drive. You should maintain your XO so that it does not run out of storage space for new files. You can delete some items by using the Journal Activity. 1. 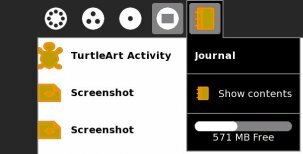 On the Frame, click the Journal icon. 2. Hover the pointer over the Journal icon to see the amount of free space. 3. Look for files that you can delete, such as old files or large files that you have copied to another location. In general, video and audio media files and some PDF files or e-books are larger than individual Write Activity files or still photographs. The upper limit for a PDF file that the XO can read is about 36 MB. The Browse Activity may download more than one copy of a PDF or media file if you do not realize you have already downloaded it. Delete duplicates to save space. 4. Select a file to delete by right-clicking its icon and clicking Erase. 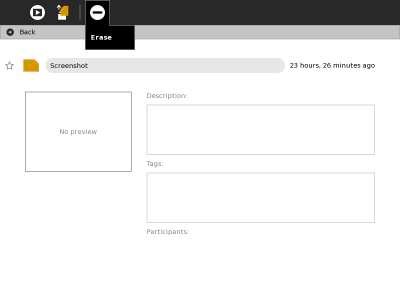 Or, click the small arrow button to go to a preview of the Activity or file. Once you are previewing the item, click the Erase icon (minus sign at the top of the screen). If you want to resume using the file, click the icon for the file to launch the Activity. You can use either an SD card or a USB storage device or drive to save and retrieve files externally. An SD card (Secure Digital card) is a flat, rectangular plastic device about 3.2 cm by 2.4 cm (1 1/4" by 5/8"). They are also used in many digital cameras for photo storage. The XO has one SD card slot. The easiest to use are USB storage Flash Drives (memory sticks). These are about the size of a pack of chewing gum. Certain brands have an onboard indicator light, showing when data is moving to or from the computer. There are 3 ports on the XO that you can use with a USB flash drive. One is on the left of the screen, two are on the right. All are protected by the antennae when the XO is closed. Insert the USB drive or SD card. Go to the Journal view to see the USB or SD icon in the lower left of the Frame. Click the Journal item's icon and drag it to the USB/SD icon. Click the USB/SD icon first. Drag the item from the USB drive or SD card to the journal icon. Move the pointer over the USB icon at the bottom of the Journal and click Unmount. When the USB icon disappears, it is safe to remove the USB drive. The SD card slot is underneath the screen, below the power button. 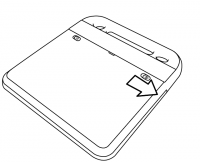 You will need to rotate the screen counterclockwise to access this slot. Move the pointer over the SD icon at the bottom of the Journal and click Unmount. When the SD icon disappears, it is safe to remove the SD card. Push upwards on the card with your thumb and release to spring it from the slot. 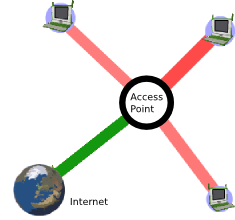 If you cannot successfully or consistently connect to the Internet using Wi-Fi, you can use a USB-to-Ethernet connector to hook up to a wired connection rather than wireless. Examples of products that have worked for other users include the Linksys USB100M and the Zoltan Tech USB2.0 Fast Ethernet adapter, which cost about USD $10-$25. If you want to connect to your XO wirelessly with a dial-up connection, you can do it with an older version of Apple's Airport Extreme (A1034). Apple no longer sells them, but they are available on the Internet for between $18 and $36. Be sure the one you get has a port for the phone line, and preferably, with a phone cord included. Directions for connecting with it are on the Wiki at http://wiki.laptop.org/go/Wifi_Connectivity#Apple_Airport. Your XO has three USB ports that can be used to connect an external mouse, keyboard, storage devices, and possibly other hardware additions with appropriate support. You can use a USB to Ethernet connector for a wired connection to the Internet. Examples of products that work include the Linksys USB100M and the Zoltan Tech USB2.0 Fast Ethernet adapter, which cost about USD $10-$25. For a current list of USB Ethernet devices go to http://wiki.laptop.org/go/USB_ethernet_adaptors. Which wireless devices may work well with my XO? 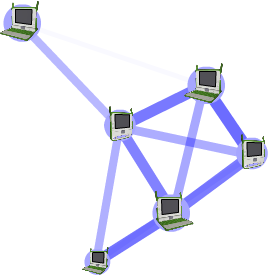 The hardware that provides the wireless connection can affect whether the XO laptop can connect either to the Mesh network or to the Internet. A Wireless Access Point Compatibility table at wiki.laptop.org/go/Wireless_Access_Point_Compatibility gives some information about manufacturers of wireless hardware, the model number, and some notes about its compatibility. Your XO laptop is checked for safety against the European Union's RoHS Directive, which ensures that it contains no hazardous or unsafe materials. Its NiMH batteries contain no toxic heavy metals. As you may know, it is possible for some computers to be "infected" with a "virus" when connected to other computers. Viruses are programs that can copy themselves and often cause problems for the computer that runs them. The XO laptop cannot be easily infected by viruses, because of its unique security system that isolates each Activity. Currently you do not need to install separate anti-virus software or firewall software. Please realize that the XO laptop is designed for easy-to-use wireless connection to the Internet and other networks. While the Internet lets you access lots of useful information and talk to lots of people, not all of the information or people are good and safe. You should be careful and ask your teacher or parent for help and protection while browsing on the Internet. Parents and teachers, we recommend that you filter Internet content as appropriate for your school district or home, stay in touch with what your children and students are reading and finding on the Internet, and ask your Internet Service Provider for assistance with filtering what parts of the Internet your XO can access. Warning: EVERYTHING on your XO will be deleted if you use a USB storage device and the following method to reflash your XO's flash memory. Clean-installing works by completely reformatting your XO with a software image stored on a USB storage device. You will then load two special downloaded files onto your USB storage device. After that, the reflashing process takes about ten minutes. Copy the resulting files onto your clean (FAT or FAT32-formatted, not quick-formatted) USB storage device. These files should occupy a total of at least 300 MB of space. Unmount the USB storage device and disconnect it from your computer when it is safe to do so. You have now prepared yourself to restore the factory-default settings which are current at this time. Connect your prepared USB storage device to your XO. Next, hold down all four gamepad keys above the power button, and then push the power button to turn the XO on. You will see a message that tells you to "Release the game key to continue". Do not continue until you see this message. Release the gamepad keys. The reflash process runs automatically; first you will see the XO arrange and color in a grid of boxes, then the XO will display "Rebooting in 10 seconds..." The XO will then restart with a clean image. Enter your name for your XO and then click Next. Click the XO icon to change the colors and then click Done. 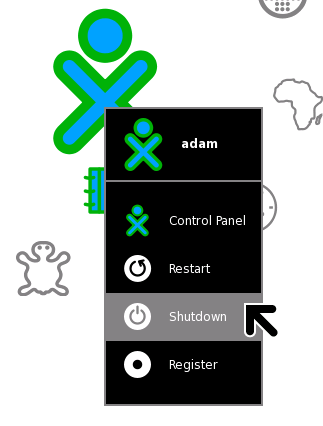 Optionally, connect your XO to the Internet, then use the Control Panel to download the latest Activities. If you see a "Bad hash at eblock #0" message while reflashing your XO, then it means the image you copied to the USB storage device is corrupt. You should repeat the preparation steps, perhaps with a different USB storage device, and then retry the reinstallation step. After you become comfortable with the procedure for restoring your XO to its factory-default settings, you might decide to change, upgrade, downgrade, or altogether replace your XO's operating system. There are several ways to accomplish this goal, all of which are discussed at http://wiki.laptop.org/go/Change_your_OS. 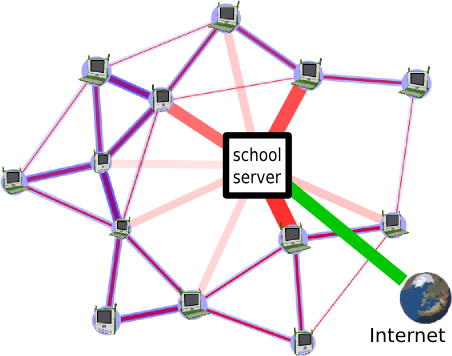 Some of these mechanisms (such as olpc-update and others) may be more bandwidth-efficient and easily undoable. Maintenance of the XO hardware involves updating the software and firmware and keeping the case in working order. To update the Sugar software or Activities that run on the XO laptop, refer to the update information for software update at http://wiki.laptop.org/go/Olpc-update. You might want to update all the software on your XO laptop when a new version of the software is released. It takes about 30 minutes, and you can use the instructions there to install all new updates without losing any data. Refer to the "Latest Releases" section of http://wiki.laptop.org for the most recent version number and information about updates and reasons for updating. Typically separate Open Firmware (OFW) updates are not neccesary because the software will contain the needed firmware updates. However, you can update the OFW by following the instructions on http://wiki.laptop.org/go/Upgrading_Firmware. Your XO is built and designed for repair work to be completed with only your hands and a screwdriver, and the case includes extra screws in case you need them. For photos and step-by-step instructions on repairing your XO or putting replacement parts in, go to http://wiki.laptop.org/go/Repair. Refer to http://wiki.laptop.org/go/Repair_center_locations to get to the most recent directory of repair centers, if you do not want to repair your XO yourself. 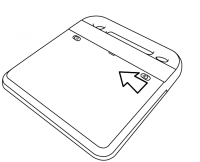 The XO touchpad does not offer a click mechanism like some touchpads. You must click the long button marked with an X to select something on the screen. Sometimes the touchpad seems to behave erratically or makes the cursor jump on the screen. Hold down the three keys at one time: the upper left, upper right, and lower right of the keyboard and the fourth key, fn, the lower leftmost key, as the last one pressed, and then release them all. If this doesn't help, try shutting down the laptop and removing the battery for ten seconds before restarting. Finally, plug a standard USB mouse into your laptop to bypass the problem. Your XO must have a developer's key to do this keyboard test. 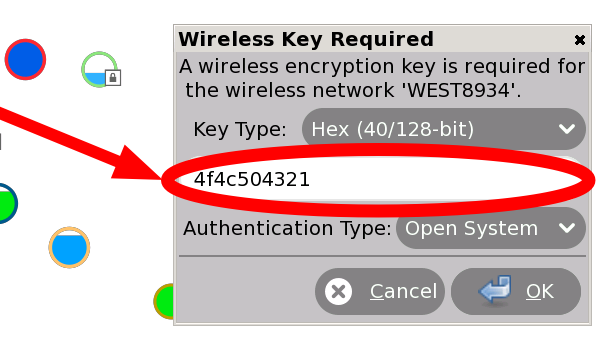 Refer to http://wiki.laptop.org/go/Developer_key for more information about developer's keys. With the XO off, hold down the "check mark" game button (above the power button) while pushing the power button. After start up, the screen displays "Release the game keys to continue" and shows a text diagram of which key is pressed. Release the "check mark" game button. Next, after you see "Type the Esc key to interrupt automatic startup," press the escape key in the upper left hand corner of the keyboard layout (a circle with an x). The XO displays an ok prompt. A blue keyboard map displays on the screen. Press keys one at a time to see the keyboard map turn the key light blue. If the display on screen shows a light blue key constantly, the keyboard has a problem with that particular key sticking. Refer to a repair center for full diagnosis and repair at http://wiki.laptop.org/go/Repair_center_locations. Press the the escape key (circle with an x) again to exit the keyboard test. At the ok prompt, type reboot to restart. If your keyboard becomes damaged, normally it has to be replaced. Replacements are available through the repair centers. Information on spare parts and repair centers can be found at http://wiki.laptop.org/go/Repair_center_locations. If you want to completely wipe clean the XO, you can try upgrading the activated laptop to re-flash its entire "disk image" including both its operating system and its Activities. Refer to Resetting your XO for detailed instructions. Please be aware that ALL DATA WILL BE LOST. The XO can give you information about possible repairs that are needed. Start by pressing the power button for a second, and then answer the following questions. Does the Power LED half-circle light up? When the power button is pressed once, and the power LED doesn't turn on, first try resetting it. Take the battery out and remove the power adapter. Wait two minutes. This allows embedded hardware to lose all power and reset itself. Replace at least one source of power, either the battery or power adapter, and watch the power/battery LED while you do so. The battery LED should flash orange momentarily (about a quarter of a second) when power is first reapplied. If you do not see this flash, you either have a motherboard hardware problem or faulty EC firmware installed. Contact a repair center for assistance. If the power LED doesn't turn on or flash, but the laptop proceeds to illuminate the backlight and even start, the problem may be either the LEDs themselves or the power LED driver. The LEDs are in series, so if one fails they may both fail to light. On rare occasions, the power button becomes stuck mechanically. 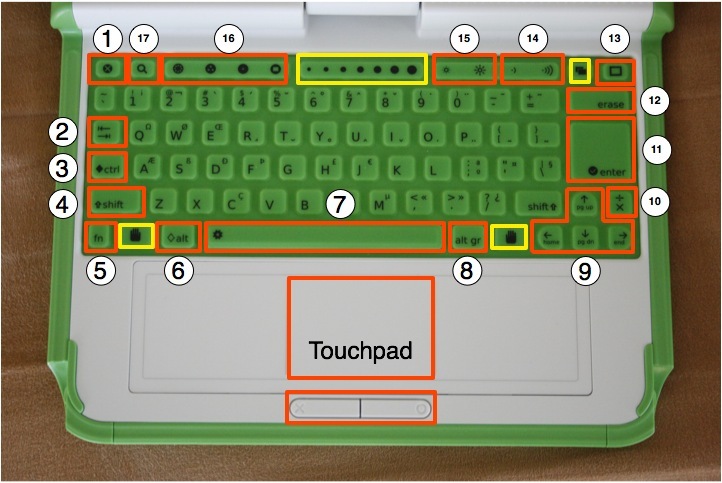 In this case, the laptop does not detect the depression of the power button, and does not turn on. Ensure that the power button is moving freely by pressing it a few times. If the battery LED flashed on restoration of power and the power button isn't stuck, and no other signs of life are detected, then you can't determine the reason for failure. Contact a repair center for assistance. After starting the XO and viewing the power LED, the next visible feedback from the XO is that the display lights up. The LCD display should be initialized with white, then begin to show text or graphics. The backlight for the screen should be turned on, even if the backlight was previously turned off. If this does not happen then the boot sequence may not be operating correctly. Next, look at the Microphone activity LED to see if it is lit. If the power LED and the microphone LED are both lit then a serious boot error has occurred and you should contact a repair center for assistance. Can you hear the startup sound when the XO starts? If the startup sound does not play, this usually indicates a problem that a repair center needs to fix. If the display doesn't initialize, but the boot sound plays, then this is probably a problem with the display. If no boot sound is played, but the machine boots normally and has audio, it is possible that the default boot volume to has been changed to 0. While the boot sound is playing, you can adjust the volume using the volume adjust keys. This modified volume setting is saved and used for future boots. Try increasing the volume right after starting the laptop a few times, and see if the boot sound returns. If no boot sound is played, and the machine boots normally but has no audio see http://wiki.laptop.org/go/XO_Troubleshooting_AV. Does the display remains blank after starting up? Sometimes the display is active (including backlight), but no text or graphics appear. 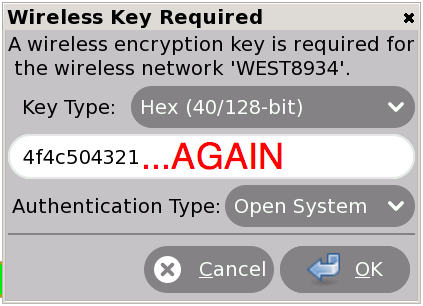 This problem can be caused by removing the power to an XO while it is upgrading the firmware. You should contact a repair center for assistance. Does the display say "Connect power to proceed"? Sometimes a firmware update requires two sources of power, both a battery and a power adapter. If this is the problem, provide both sources of power and reboot. The XO should proceed with a firmware update and boot normally. Is the display is showing an XO icon only? This means that the XO has started the startup process. You can see much more information about your Open Firmware by holding the "check mark" game button (above the power button) after powering on. That makes Open Firmware display more detailed messages about what it is doing during the secure boot process (including early boot messages from the Linux kernel). The messages are in English only. Is it showing an XO icon with a serial number and three icons below it? If the laptop powers up, but stops when displaying the XO icon in the middle of the screen, followed by a serial number (e.g. CSN74902B22) and three icons (SD disk, USB disk, Network signal strength), it is looking for its activation lease. This should eventually print "Activation lease not found" at the top of the screen and power-off soon thereafter. The solution is to re-activate the laptop. Obtain a copy of the lease (or a new lease) from your country activation manager, place it (named "lease.sig") in the top-level directory of a USB key and boot the laptop. See the "what to do with activation keys" section within: http://wiki.laptop.org/go/Activation_and_Developer_Keys. Is it showing an XO icon with a "sad face" above it? This means that Open Firmware couldn't find a signed operating system on the internal flash memory. Firmware bootup also looks on USB memory sticks and SD cards for signed operating system software. Try upgrading or re-installing the software: http://wiki.laptop.org/go/Secure_Upgrade. XO icon with a single dot below it? If the XO powers up, but stops when just displaying the XO icon in the middle, with a single dot below it, it means that something was wrong when the Linux operating system started. When this happens, try upgrading or reinstalling the XO. If this has happened to the same XO more than one time, consider a repair center for full diagnosis and repair at http://wiki.laptop.org/go/Repair_center_locations. An entire community built this XO and everything on it, and we want to help you with it. OLPC has proven that volunteer-driven support works, often with far more heartfelt caring than any corporate help desk! If you are still unable to find an answer online, please email help@laptop.org. NOTE: With the wireless network, you can store additional files to your school's server or to other network storage locations.